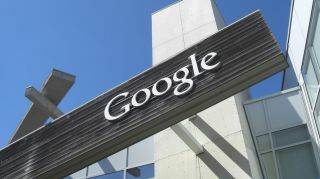 Google has launched a cloud storage service that is designed to bridge the gap between online and offline storage for businesses looking to cut costs without a decrease in the level of service. Google Cloud Storage Nearline introduces a new level of storage between online and offline storage that allows businesses to put customer data into cold storage for around $0.01 per gigabyte at rest, and gives them the ability to access it in around three seconds. Businesses will no longer have to worry about the long access times associated with backups or other data stored in offline cold storage. Instead of sometimes having to wait hours to start analyzing data, it can be done in a matter of seconds. Data is stored on redundant storage across a wide swathe of physical locations with OAuth and granular access controls contributing to strong, configurable storage. It is also fully integrated with other Google Cloud Storage services and thus provides consistent access across the entire range. Google's product is similar to Amazon's Glacier solution. That has been around for almost three years and, although it also offers storage from $0.01 per gigabyte per month, the time quoted by their introduction video states that three to five hours is the typical retrieval time for data.